This week we’ve been enjoying the beautiful summer sunshine here in New Zealand (while it lasts!) and spent lots of time playing in the sandpit. To change things up a bit I decided to set up this little invitation to make a safari small world. 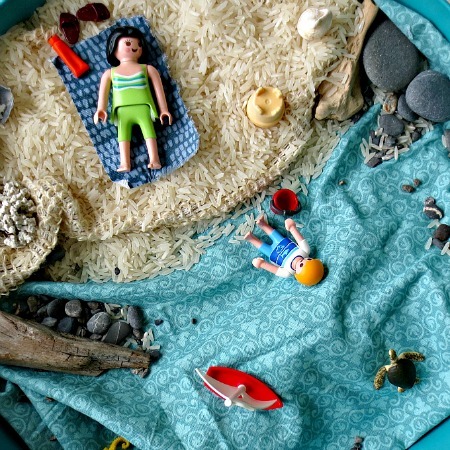 There’s something magical about small world play that draws children in. It’s easily one of my go-to activities at home. 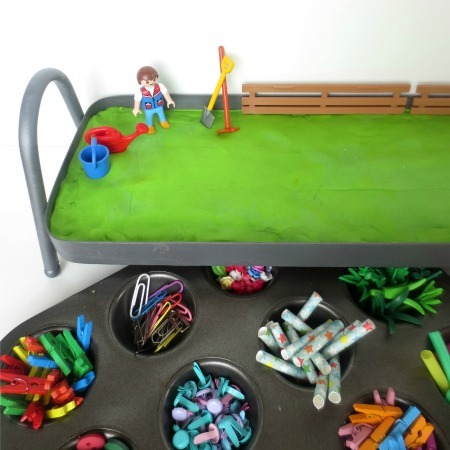 In a few minutes you can set up a simple invitation to play that will spark their imagination and encourage independent play. Small worlds can be set up in so many different kind of ways. 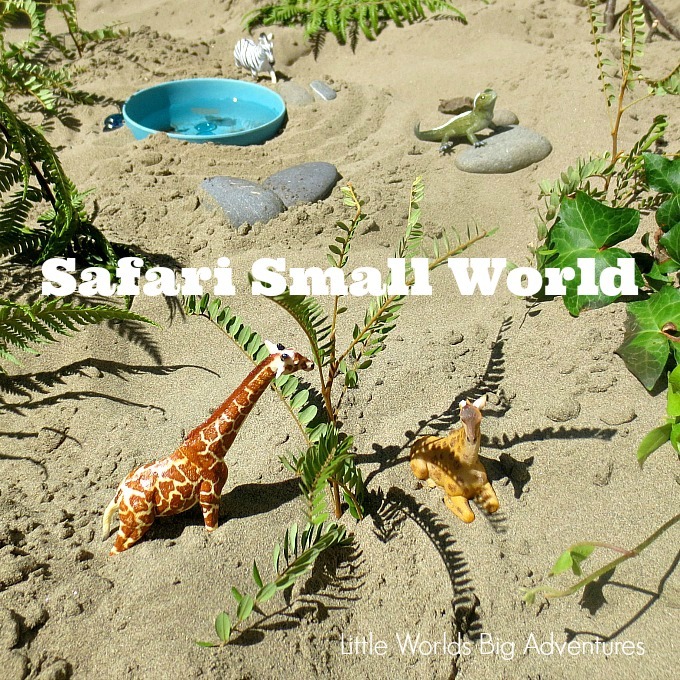 Have a look at how we went about creating our safari small world and be inspired to try it at home too! There’s no right or wrong way for setting up small world invitations to play. 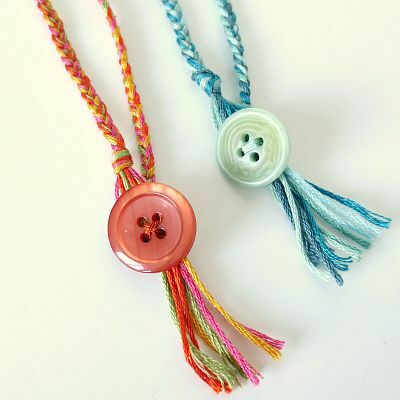 There’s only the time you have, materials available to you and your own creativity. 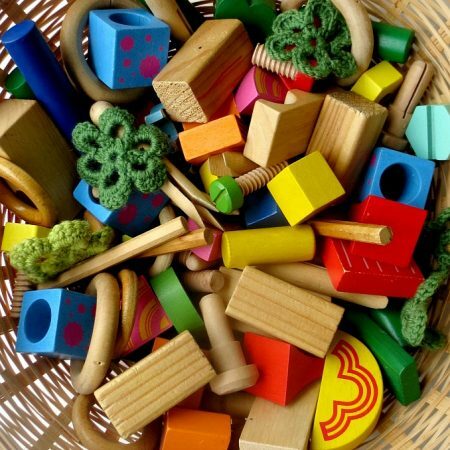 I’m a huge fan of playing with loose parts, in all of it’s weird and wonderful shapes and sizes. 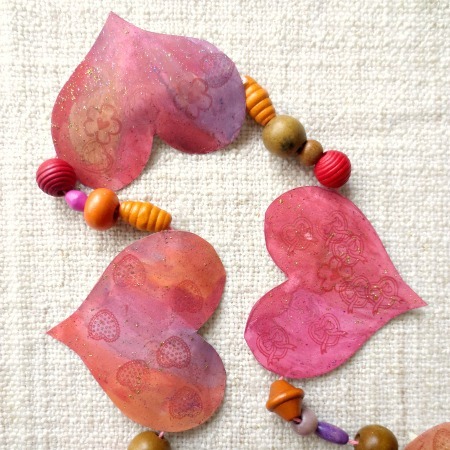 So when I’m brainstorming, I often walk around the house to see what I can use: fabric scraps, figurines or animals, glass gems, buttons, crochet flowers, blocks and so on. 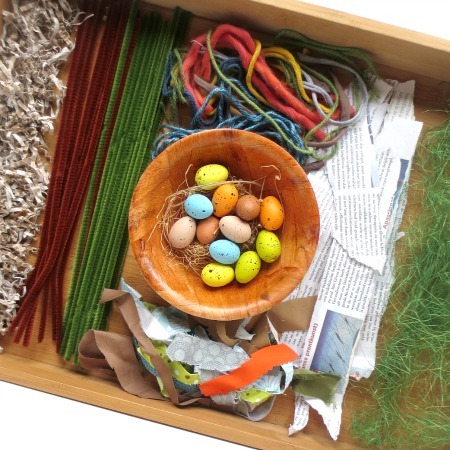 I also like to use natural materials (which are loose parts too!) 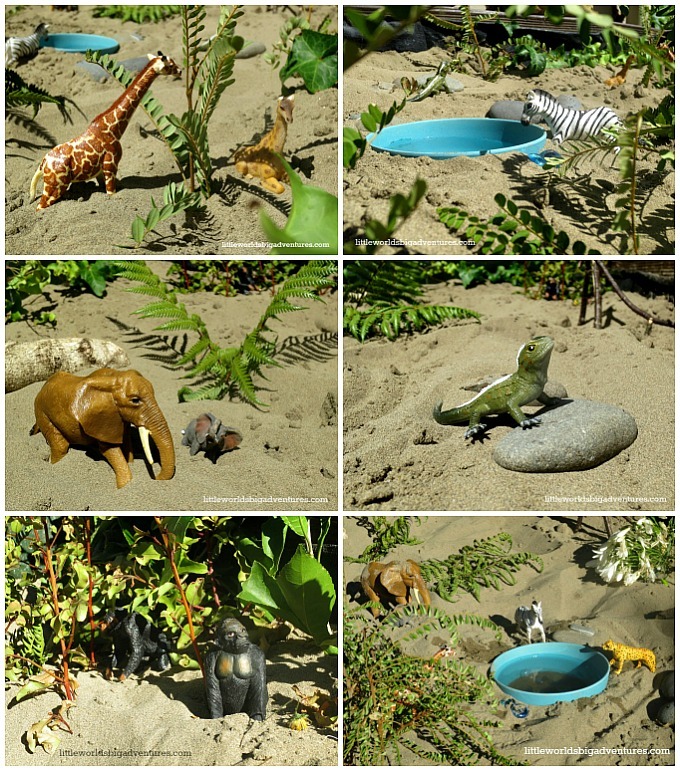 and thought they’d be especially well suited for a safari small world in the sandpit. This is what we collected. I thought using lots of leaves, branches, sticks, flowers and rocks would inspire the creation of ‘natural’ habitats for the animals. I also like the choice of materials to reflect the seasons somehow. Since we’re playing outside in the summer, it only makes sense to play with flowers and perhaps add some water. 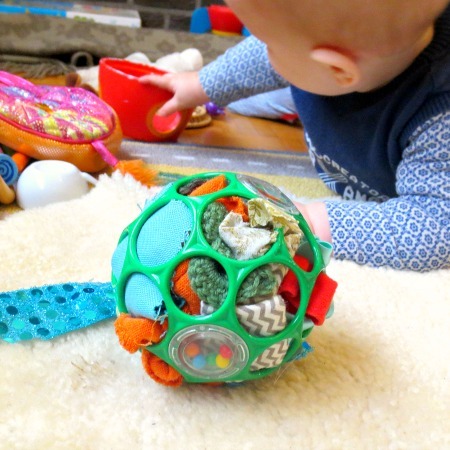 Another thing you could keep in mind is offering a variety of sensory experiences in small world play. 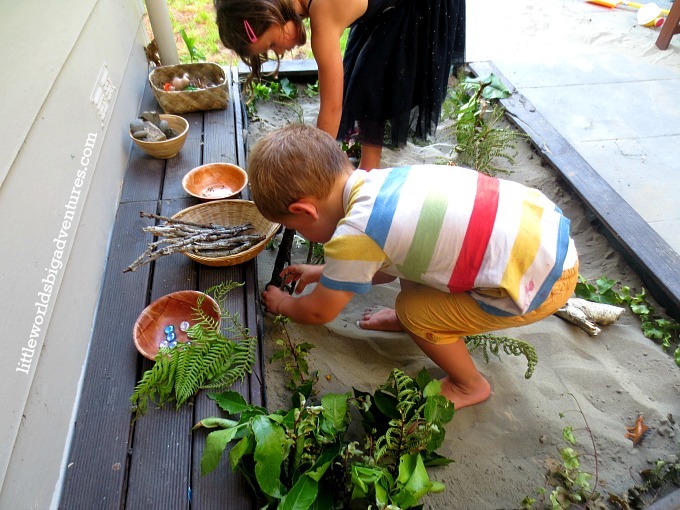 In this safari small world we combined sand with natural materials like rocks, sticks, leaves and flowers and then I added a bowl of water. Kids love those combinations. 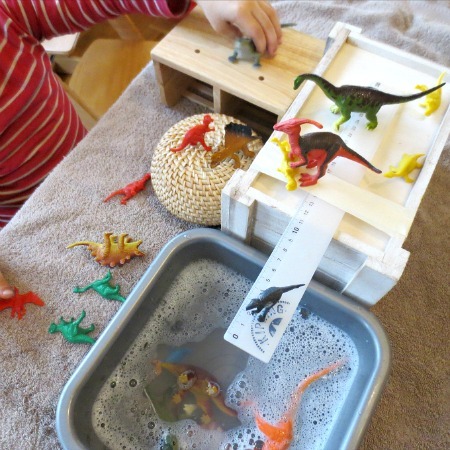 (Adding water to anything is a huge hit with my kids!) 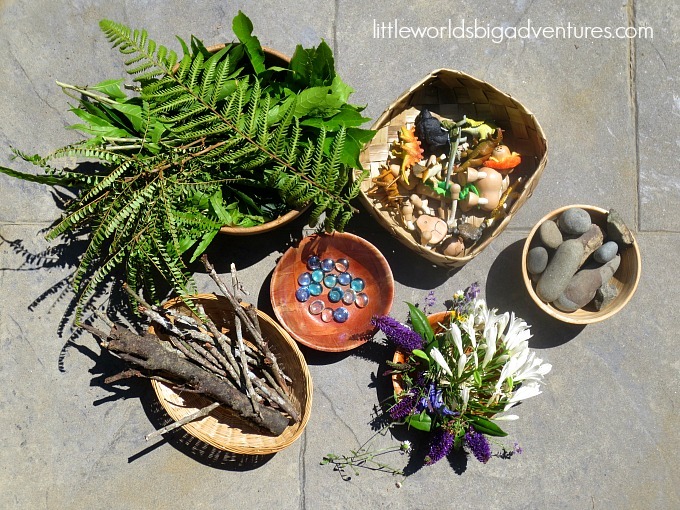 A good example of sensory small world play is this one, where we recreated the storyline of the classic We’re Going on a Bear Hunt. All of the above are just little ideas for you to take what you want from. Small worlds can be very simple or very elaborate. It’s about having fun (for both parents and children!) and letting imaginative play take it’s course. My kids (Miss N and Mr T, age 5 and 2) really loved ‘planting’ the branches. (I had to go and get some more.) My daughter made a little flower garden for the monkeys and my son got carried away dunking all the animals in the watering hole. We ended up filling it again and again and adding a second one on the other side of the sand pit. It’s such a pleasure watching them potter around, playing alongside each other, having little conversations. I usually leave them to it but enjoy observing. It gives me precious glimpses into what’s going on in their little minds. With a 3 year gap between my children, it can be challenging for them to play together. The older one is often frustrated by the younger one’s ‘destructive tendencies’. The younger one doesn’t yet understand nor appreciate the older one’s more complicated imaginative play scene going on and just wants to join in. Some days it works out, other days not so much. On this occasion all flowed nicely. What I have done in the past though is set up two small worlds close to each other and let them each have their own ‘territory’. Should you like to learn more about small world play, I’ve written a beginner’s guide to small world play which has been a popular read. 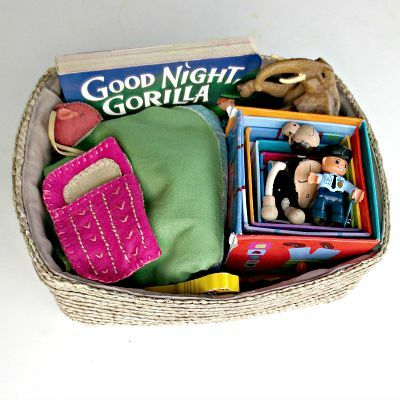 It talks about the what, why and how and will leave you with lots of ideas to get creative with your kids at home! 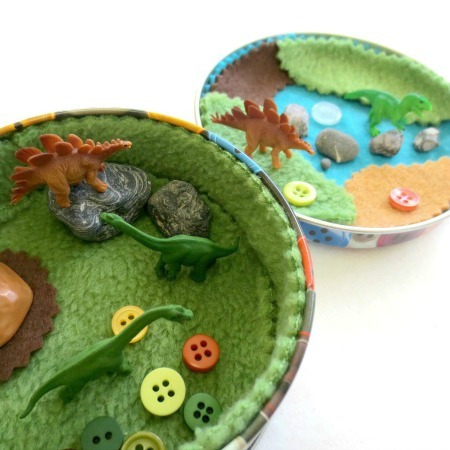 And here’s a link where you can find ALL of our small worlds, including the story baskets and travel tins!